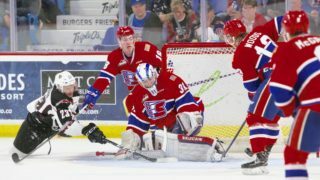 Episode 28 of the WHL Radio Show with Jon Keen looks back on some long first round playoff match-ups and then looks ahead to the second round of the 2019 WHL Playoffs. 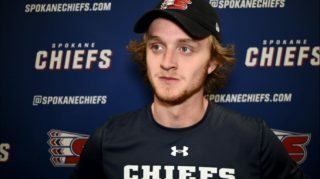 The Everett Silvertips and Spokane Chiefs are ready to meet. 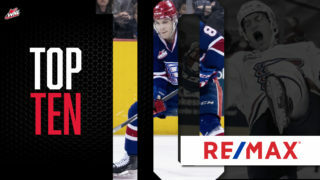 Hear from WHL Rookie of the Month for March 2019 Adam Beckman. Beckman had a strong rookie campaign and that has carried over into the playoffs. 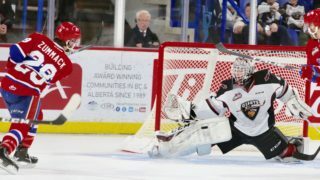 Everett Silvertips forward Bryce Kindopp will join us to discuss the playoffs. 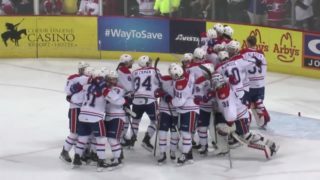 He’s coming off a hat-trick in the first round series clinching win over the Tri-City Americans. To conclude the show, we hear from five-year Kamloops Blazer Jermaine Loewen. 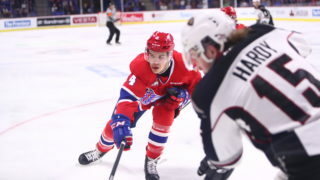 Originally an adopted orphan from Jamaica, Loewen wrapped up his WHL career earlier this week as captain of the Blazers. He hopes he was a positive influence both on and off the ice.